Liszt Ferenc International Airport is situated on the border of Budapest, about 25 km from city center. 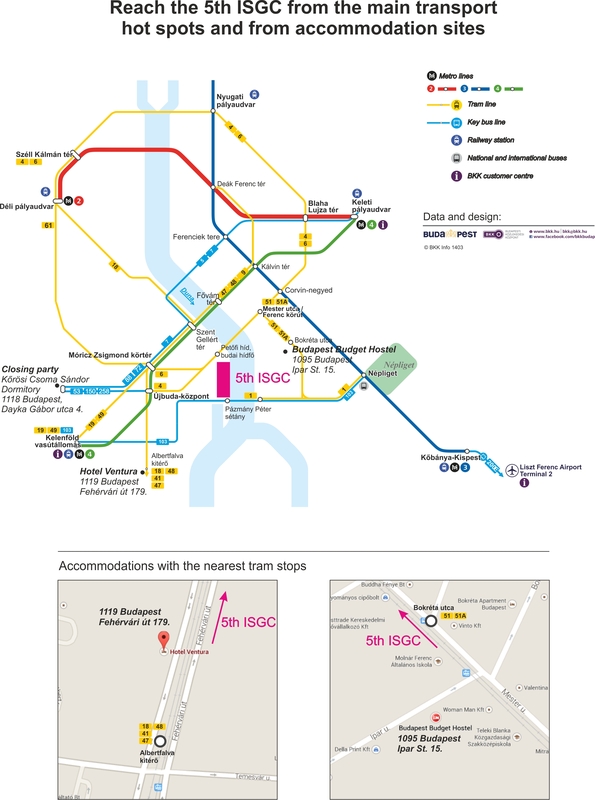 You can travel to the city by public transport (bus 200E + subway M3), taxi, minibus: http://www.bud.hu/english/passengers/access_and_parking. Albertfalva kitérő – walk back 70 meters to Fehérvári street 179. or you can also take tram line 51,or 51A. In this case you should ake off at Bokréta street. For route planning we recommend to use google maps.